Listen to the first of our series of short previews for Live Arts Magazine on October 23rd. 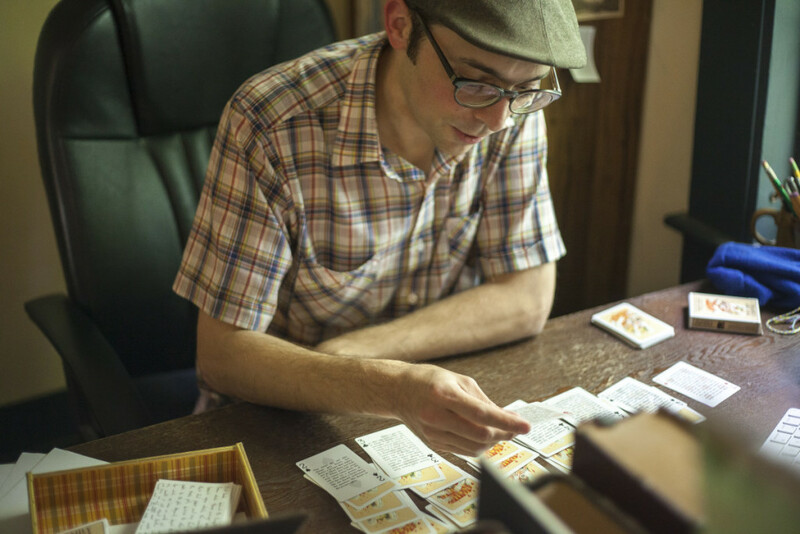 Jedediah Berry is author of “The Family Arcana: A Story in Cards”, and will be performing excerpts from his latest work at the Academy of Music in Northampton later this month. The Amherst based author won the Crawford Award and the Dashiell Hammett Prize for his first novel, “The Manual of Detection”. In his latest work of fiction, Berry challenges the traditional narrative arch by leaving his story’s structure up to chance. Printed on a deck of playing cards, this gothic fable tells of a sprawling family fighting to preserve itself against the wiles of the knavish bank people—and against its own deep-buried secrets. 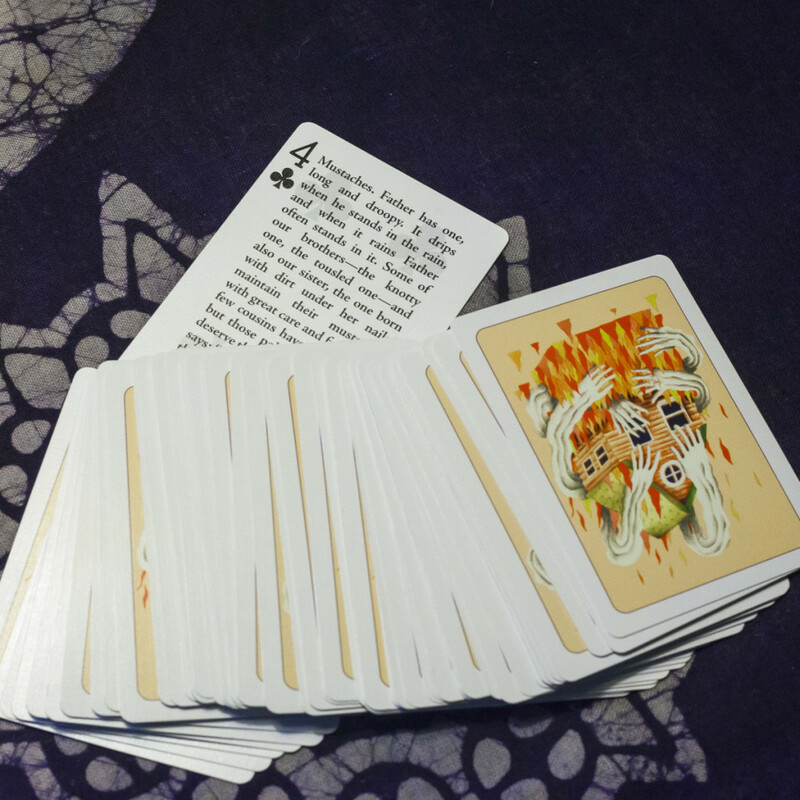 Each playing card from this standard deck reads one line from the ghostly tale, for a new telling with each shuffle. Accompanying illustrations were provided by local artist Eben Kling. 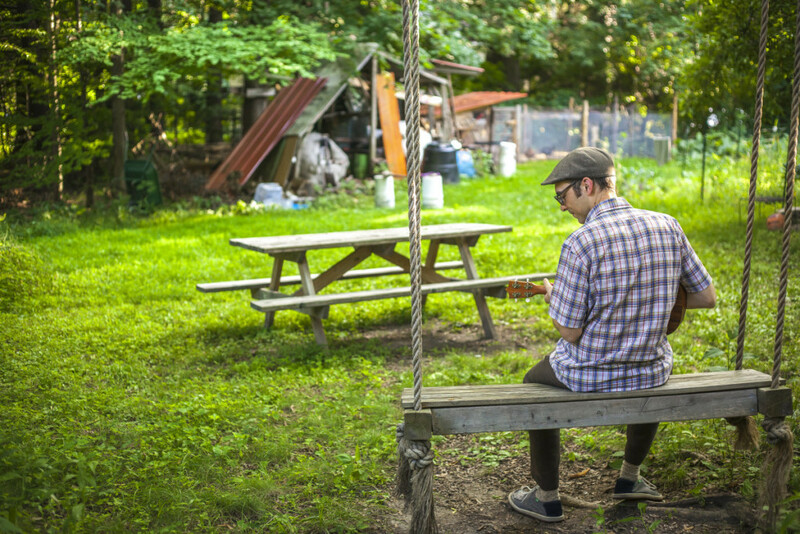 Music for this podcast (and the performance) was composed by The Suitcase Junket. To see images from this story in cards, visit Ninepin Press.